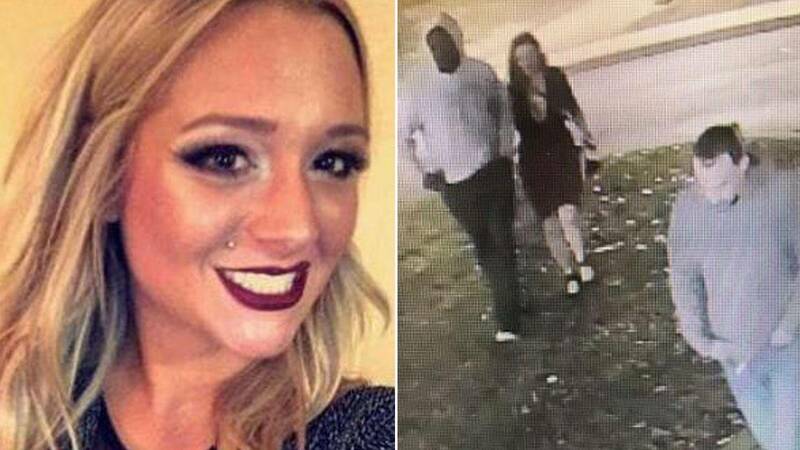 The search continues for a Kentucky mother of four who vanished nearly three weeks ago after leaving a bar with two men, police said. Savannah Spurlock, 22, was last seen Friday, Jan. 4, in the parking lot of The Other Bar in Lexington, Richmond police said in a statement. Images taken from surveillance footage in the area showed Spurlock walking with two unidentified men, one of whom was pictured leaving the area in a black Chevy S-10 pickup truck, cops said. It was not immediately clear if Spurlock knew the men or if she had met them that night. The two men, as well as a third man not included in the surveillance photos released, were located and questioned by Garrard County police the week after Spurlock disappeared. The men told police Spurlock went back to one of their homes in Garrard County but left the house on foot, Spurlock’s aunt Elaine Moore told the Lexington Herald Leader. On Tuesday, law enforcement officials executed a search warrant at a home belonging to the parents of one of the men seen in the surveillance footage. They also seized a vehicle from the property, according to WLEX-TV. It was not immediately clear what police were searching for. None of the men questioned by police have been charged with a crime. The search for Spurlock has included Madison, Garrard, Lincoln and Fayette counties, officials said. The vehicle Spurlock drove to Lexington was located in the area the weekend after she went missing, her mother, Ellen Spurlock, said on Facebook. “Her phone is off so they are unable to ping it,” her mother said Jan. 6. As investigators continued to search for Spurlock, the missing woman’s loved ones took to social media to thank their supporters and appeal to the public for help. Since she was reported missing, Spurlock’s family said they have been contacted over social media and texted by individuals claiming they can help locate her for a fee, adding to an already stressful situation. “I don’t understand why people could be so cruel at a time like this,” Ellen Spurlock told WLEX-TV. But the family has also received an outpouring of support. “This person who is someone’s daughter, someone’s mother, someone’s sister, someone’s niece, someone’s best friend,” Lisa Thoma, another aunt of Spurlock’s, said in a video posted to the Missing Savannah Facebook page. Spurlock has four children, including twins who were born in December, her family said. “Waiting is hard, not knowing answers to questions is hard … when you’re living it and breathing it, it can be crippling,” Thoma said. Spurlock is 5 feet tall, weighs 140 pounds and has brown eyes, shoulder length brownish blond hair and multiple tattoos, including a rose on her left shoulder. Her tattoos also include “I can do all things through Christ which strengthens me” on the right side of her midsection and “I’m her daughter” on her back. She was last seen wearing a black sleeveless top, a maroon skirt and high heels. Anyone with information is asked to contact the Richmond Police Department at 859-624-4776 or detective@richmond.ky.us.